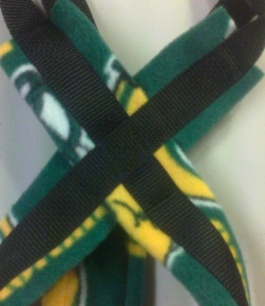 This Recreational Sled Dog Harness is BLACK poly webbing with a FOOTBALL PACKERS PRINT polar fleece. It will fit most dogs between 24 and 46 pounds. These are great harnesses for pulling sleds, rigs, scooters, someone on skates, and the like. 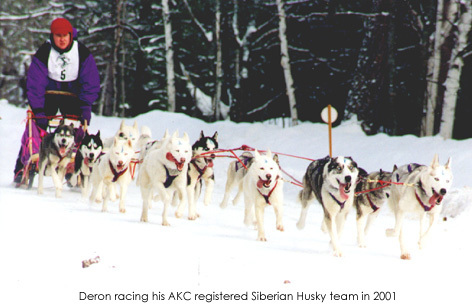 My husband and I have used and raced in these same type harnesses for our own dogs for over 30 years over many many, 100's of miles. 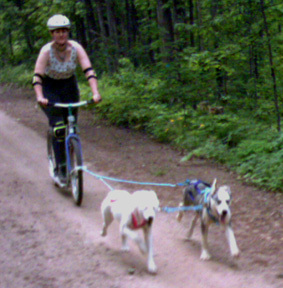 With the harness purchase you will also receive instructions on How To Harness the Dog and How To Teach Your Dog To Pull In Harness. All the money you spend with us goes to the care of our own animals here in NW SD. We appreciate your business. It is new and has never been worn or used. 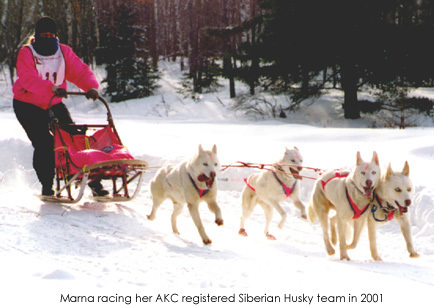 This photo is of one of our Sled Dog Racing Teams. Our items are made in our nonsmoking home. The harnesses are not returnable or refundable. If there would be a craftsmanship error I am more then happy to repair or remake the item with as close to the same materials as I possibly can. WE ONLY EXCEPT PAYPAL PAYMENTS. HOWEVER, PAYPAL IS HAPPY TO EXCEPT YOUR CREDIT CARDS AND OR PERSONAL CHECKS. We ship as soon as possible after receipt of payment. Register Of Merit (ROM) was introduced by the 1950 German Shepherd Dog Club President, Burr Robbins. The program was set up and formulated by the American Hereford Association (cows).